Fortnite season 7 skins have been leaked. 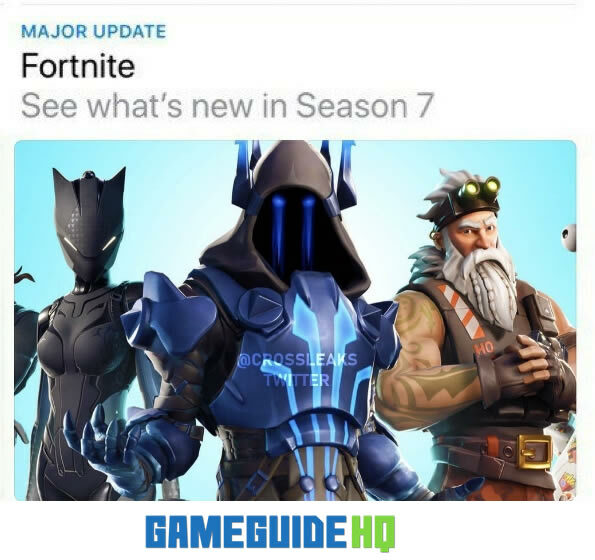 The skins were leaked just one day prior to the official launch of season 7 on December 6th, 2018. The season 7 skins were leaked from the iOS App Store, which is unusual because Epic Games normally keeps the next season’s skins hidden pretty well. Like every season in Fortnite there is a different theme to it than the last season. Along with the theme changes the map changes every season as well. This season’s theme appears to be a winter theme – with snow audio noises being leaked earlier in the week. In the photo you can clearly see a robotic cat like skin, a bearded rock climber skin, and a robotic evil looking skin. Off to the right of the picture you can see an eye ball and what appears to be french fries or burgers. 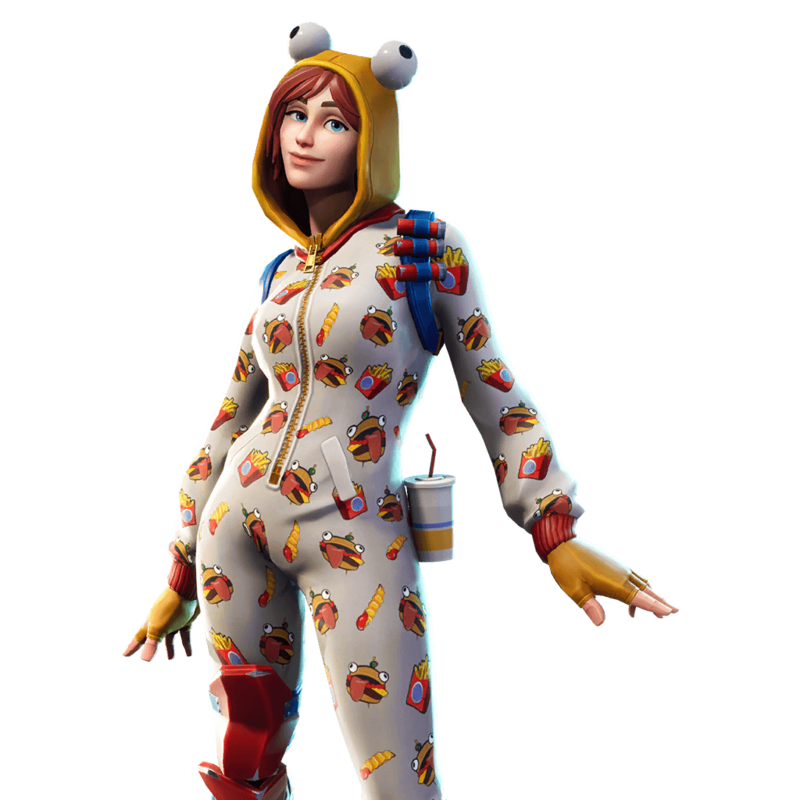 The skin is a female character wearing a burgers and fries onesie that has a hood with giant eyeballs. That skin was leaked previously during season 6 and can be seen below. Of all of the skins the ones used on the battle pass cover hardly relate to the leaked season 7 winter map that is supposed to be coming. Keep in mind the skins that were leaked are not official. However, since they are being used in the promotional artwork for season 7, they are more than likely to be a part of the season 7 battle pass once it is released. All Fortnite Season 7 Leaks To Date - Snow Map in Fortnite?